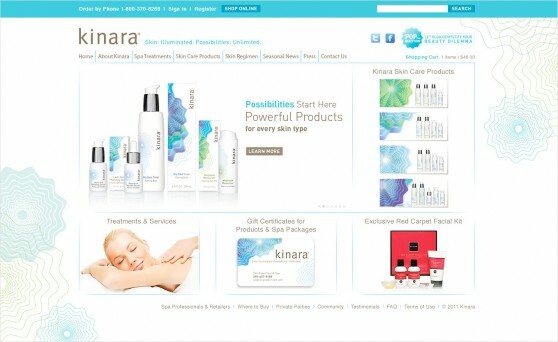 Lord Creative recently launched a Pinnacle Cart e-commerce site for Kinara, a high-end spa and skin care clinic located in West Hollywood that caters to a celebrity clientele. Lord Creative was brought in to analyze and recommend CMS technology solutions, clean-up inherited programming issues, create a branded email gift certificate along with an auto generated companion PDF, and to re-design the existing site’s overall theme to be fresh, clean and modern to reinforce the Kinara brand. Job also included art direction of an on location facility shoot along with underwater product photography shots. The end result is an overall better user experience for both the client (to do in-house updates and maintenance) and the end user (who now has a successful shopping experience! ).